Elephant Hills Resort is one of three ISO-accredited hotels in Zimbabwe (the other two being its sister hotels, The Kingdom At Victoria Falls and The Victoria Falls Hotel.) which ensures our guests will receive an unforgettable leisure experience. Most of these courses are in the capital city, but there is one that is just as enjoyable and may be even more challenging. It is under the expert care and management of African Sun and is located in Victoria Falls, Zimbabwe’s premier tourist destination. The Elephant Hills Hotel Zimbabwe contains 276 luxury rooms, 11 executive suites, one deluxe suite and one presidential suite which are served by three restaurants and two bars, and the whole complex is expertly run by African Sun’s dedicated staff. 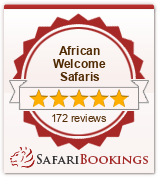 They are part of a well-managed team of dedicated staff whose sole objective is to welcome guests in true African Sun tradition and ensure their every need is catered for during their stay. This extends to the ladies who enjoy massages, facials and aromatherapy in the hotel’s spa and beauty centre. Several professional tour operators are based at the hotel and offer a wide choice of activities ranging from the “Flight of the Angels”, an aerial tour of the Victoria Falls, through the adrenalin rush of bungee jumping from the Victoria Falls Bridge and white-water rafting in the gorges of the mighty Zambezi River, to relaxed, but very different, game viewing from the back of an elephant! After a morning’s, or day’s golf or sight seeing, guests have a choice of sustenance from traditional to Western style dishes from the Resort’s Samukele Restaurant, Mapopoma Restaurant or the relaxing and informal Kabisi Terrace Restaurant. The poolside bar is a big favourite during the day or in the evening as the climate is conducive to swimming all year round. After dinner, guests can enjoy a “flutter” in the casino or chat with new friends in the Mapopoma Bar before curling up for that relaxing sleep only complete satisfaction and contentment can bring. Elephant Hills Hotel Zimbabwe is a large hotel but exudes an intimacy often only found in small country inns. This is the essence of African Sun operations, friendly, welcoming and attentive staff and all set in a unique part of the world – the Victoria Falls.